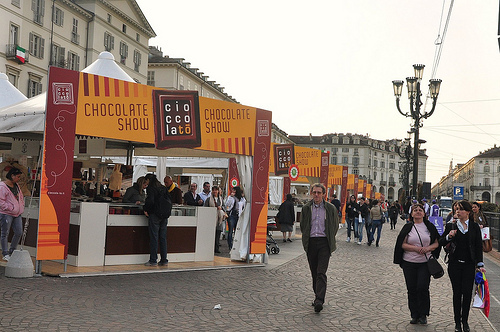 As you know from my recent post Italy in Chocolate, I spent several days in Turin at CioccolaTo, Turin’s chocolate festival. 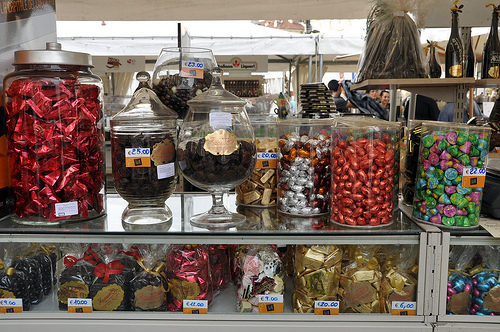 Actually, my month in Italy was planned specifically for two things: Carnival in Venice and CioccolaTo in Turin. 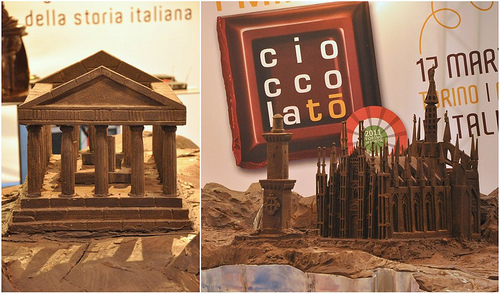 All the amazing other things that happened during my Italy travels between these 2 events were just chocolate ganache on the torta cioccolata! 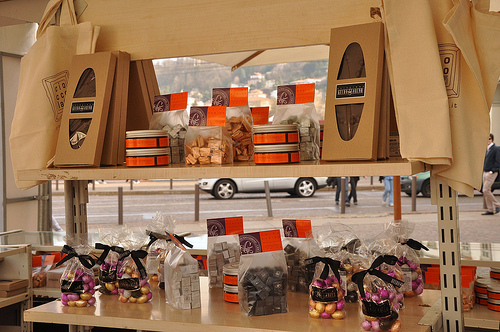 For two weeks in March, Piazza Vittorio Veneto was transformed into a chocoholic’s (called ciocco-dipendenti in Italian) paradise. 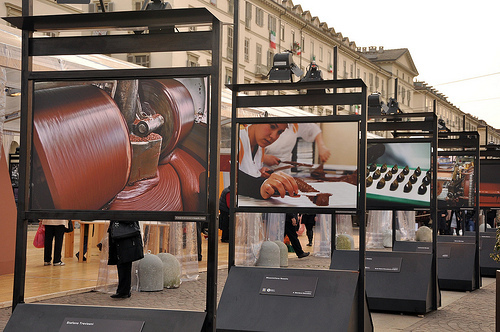 Hundreds of chocolate makers in Turin and Piedmont participated, and also those from all parts of Italy and Europe, selling chocolate and giving out samples. 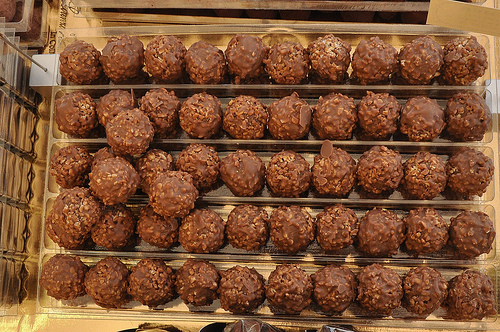 A lot in the way of chocolate education was also available to those interested in more than sampling. 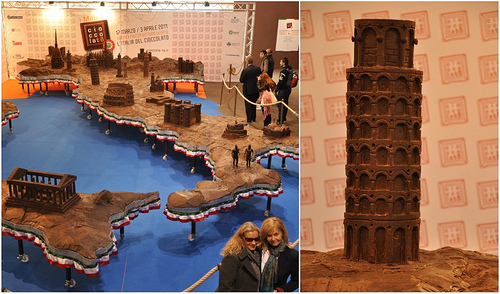 There was the tent that housed Italy and 20 of its monuments in chocolate. 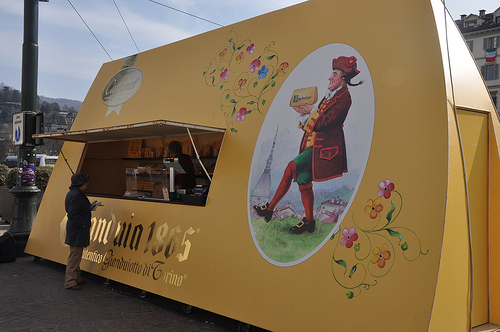 Also in the tent, highlights of Italy’s united 150-year history and the history of chocolate in Italy were displayed on storyboards that lined the tent walls. The cinema in the piazza, Cinema Empire, showed chocolate films from around the world (Chocolat, Like Water for Chocolate, Bianca, Willy Wonka & The Chocolate Factory, and more). 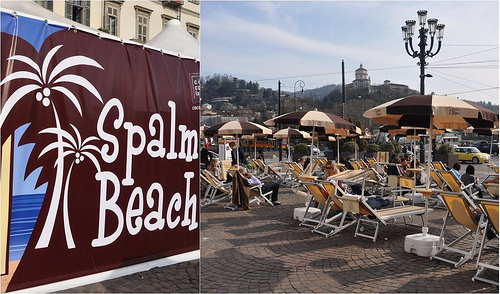 If you were exhausted after eating all that chocolate, you could recline at Spalm Beach – a play on Palm Beach and Spalmabile, the generic term for the spreadable chocolate & hazelnut goodness many know as Nutella. If you needed even more pampering, a spa, Cocoon Center, in the piazza offered free chocolate beauty & wellbeing services. 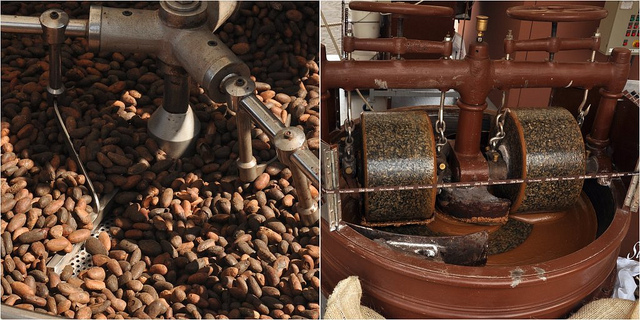 CioccolaTo 2012 is already scheduled! 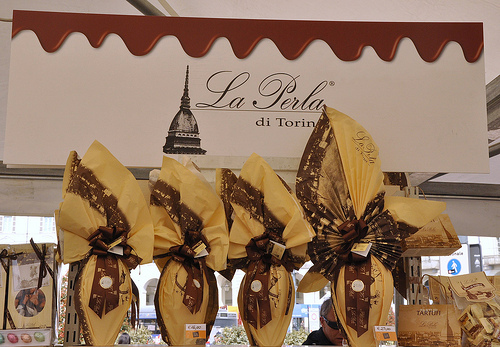 It’s from March 2 to 11, 2012 (And, Carnevale di Venezia will be from February 11 to 21, 2012.) 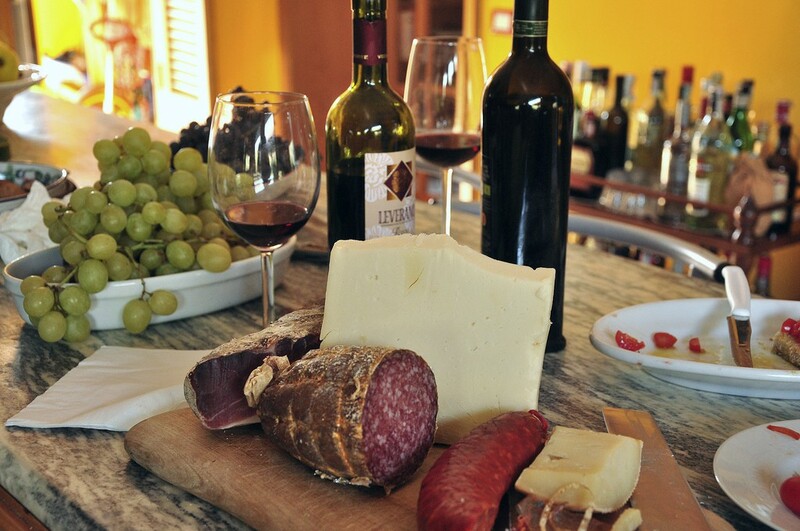 Just a few reasons to visit Italy in winter! This post is part of Wanderfood Wednesday – Head on over there and see what other food lover’s that travel are writing about! 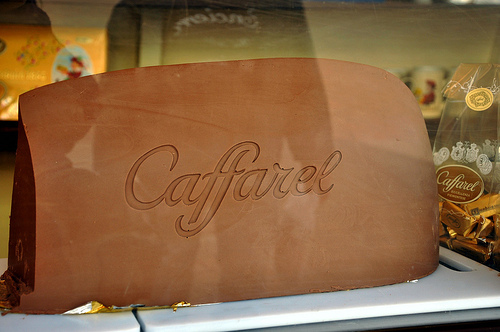 I LOVE the Caffarel Gianduia Stand! 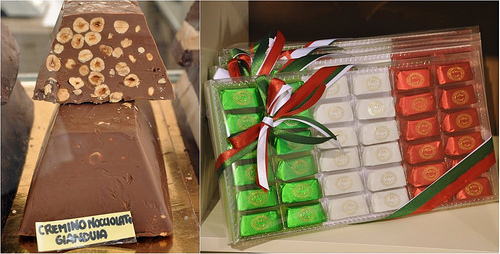 It’s my favourite Italian chocolate and what clever presentation! 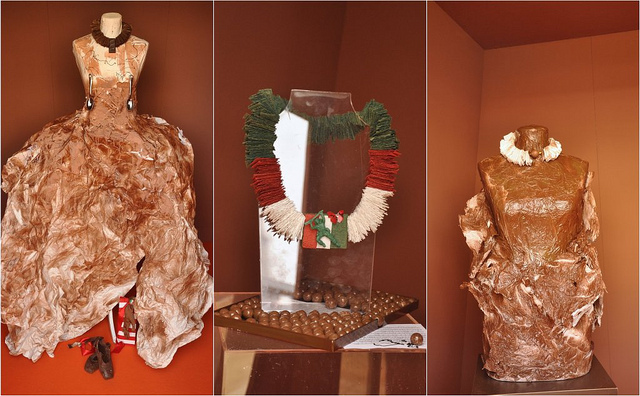 Corinne – And, the clerk was dressed like Gianduia (the Turin Carnival character from the 1800s). Dian – I didn’t resist….Death by chocolate was a real possibility. 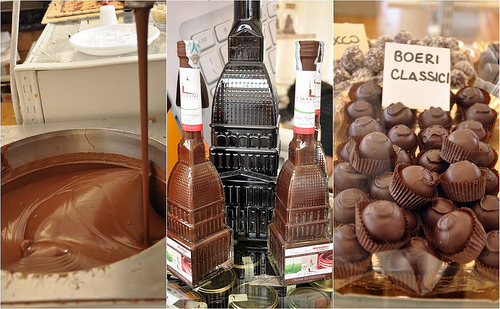 I was also doing more chocolate research/tasting, in addition to the festival, for an upcoming Travel Belles article, so I had definitely overdosed on chocolate by the end of those 5 days. 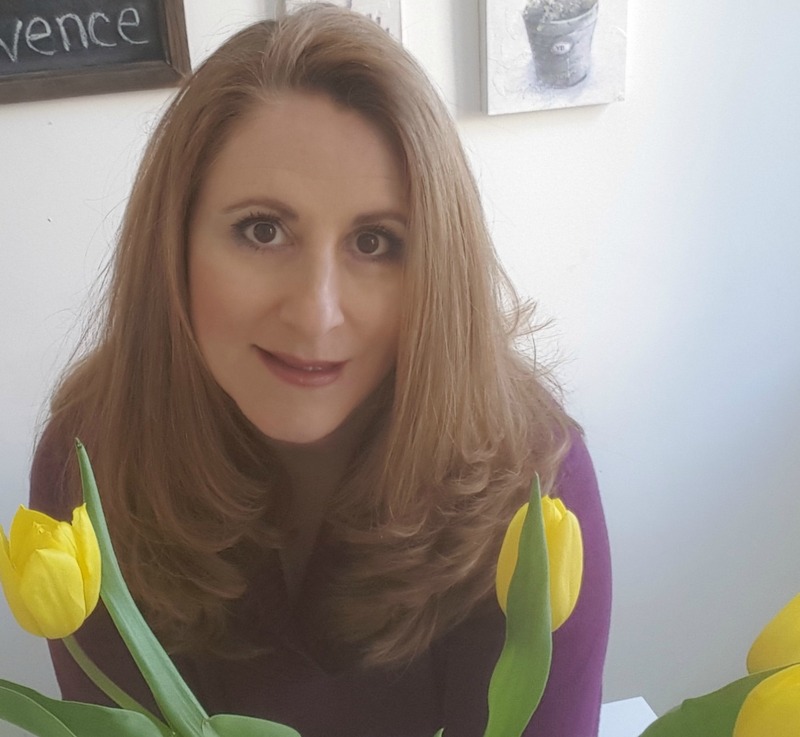 Debi – Glad to hear it. You’ll definitely enjoy the trip. I love the tall Easter eggs and miss them a lot. Without them, it doesn’t feel like Easter to me. I know, they are expensive, but they are so pretty! 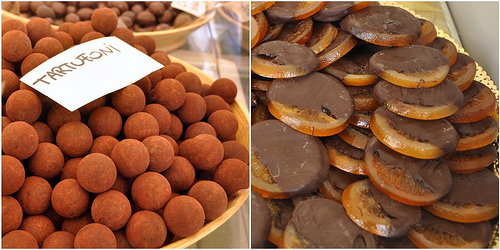 Carrie – Chocolate heaven, that what it was. Simona – The decorated eggs are so pretty. They were all over Italy, practically the day after Ash Wednesday. I remember seeing my first in Rome that Thursday.